These low-profile patch cables add color-coordination to your network wiring. 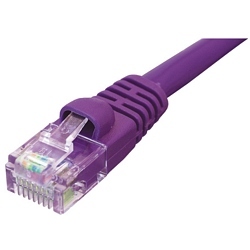 They're popular with network administrators who use the various vibrant colors to trace connections between servers, panels and support equipment. Since they're available in many lengths, you'll be able to get your network cabling both organized and tidied up.